Never heard of her before? That’s because this is miwa’s debut onto the music scene. She represents a YUI like sound and is accomplished in both vocals and acoustic guitar. I love this cover. It’s so simple and fresh. The title track, don’t cry anymore, is a pop-rock song with kind of a nostalgic, hopeful feeling. The verses are typically the softest part of the song, with acoustic guitar, and a few strings. Electric guitars are added to the mix just before the chorus. The chorus is powerful, using high energy and bright instruments to create a lasting effect. Sometimes miwa’s voice reminds of misono, but with better intonation and vibrato. 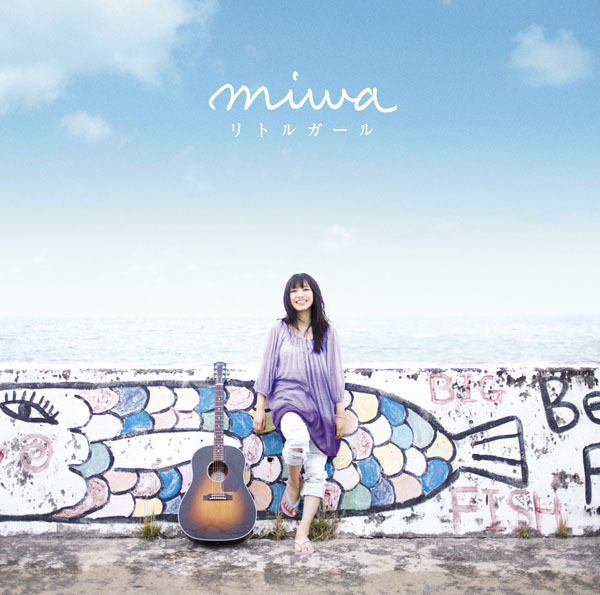 Generally though miwa is very articulate and simple in her vocals. Beautiful song. Next is the much simpler, Meguru gawa. This song takes a much more laid-back approach to acoustic songs. Piano mostly dominates the verses, and it prepares us for an uplifting chorus. The chorus reminds me of something from an Every Little Thing or Ikimono Gakari song. Although this track isn’t nearly as powerful as the debut song, it’s still pretty. We end the single with a very uplifting Wake up, Break out! This song could easily be found on a Rie fu album or something like that. miwa perfectly handles this song, and her English is great. The guitar work in this song is especially enticing. miwa has a much more powerful voice than I imagined. Overall: One of the most powerful, well-rounded debut singles I’ve seen. You are currently browsing the archives for the miwa category.